Whilst birding the Ash Shargiyah Development Company Farm (Fadhili) with Phil Roberts we came across a Sacred Scarab Scarabaeus sacer. 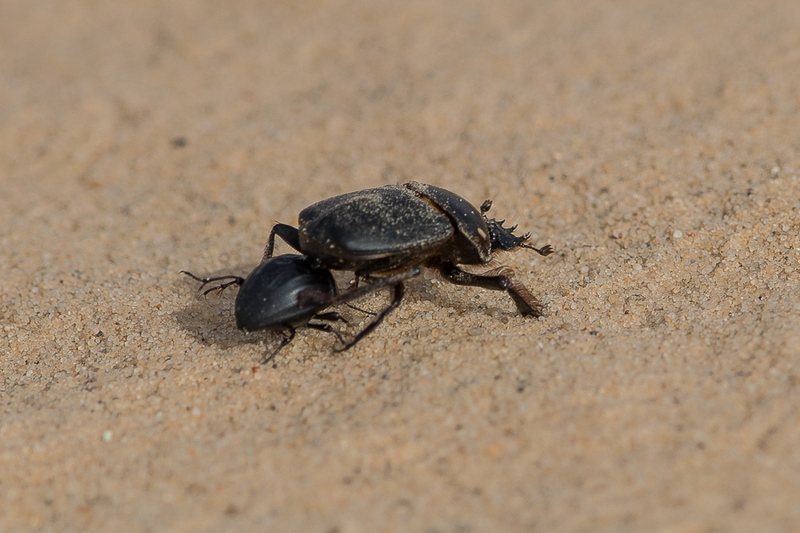 The Sacred Scarab is a dung beetle that is common in Saudi Arabia where swarms often follow herds of camels and sheep in the desert. They pounce on any fresh droppings, make them into balls and then roll them into a hole made in soft ground. 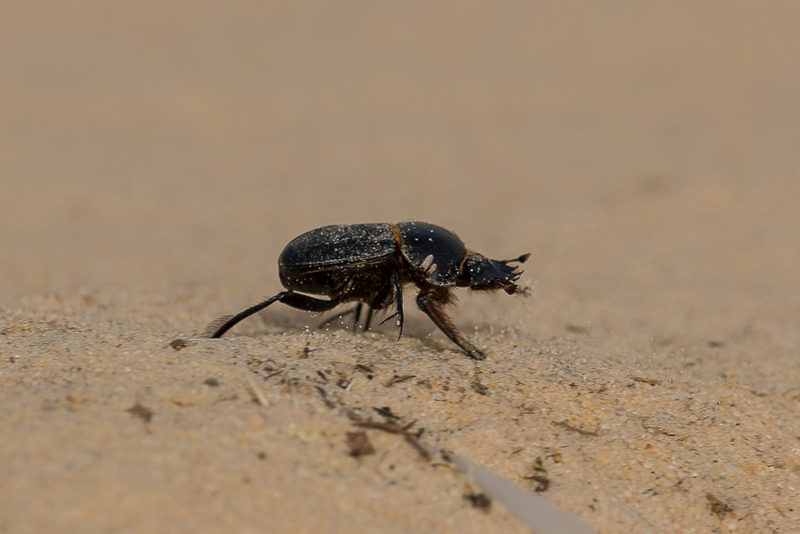 The female will then lay and egg in the ball which is large enough for food throughout the young beetle’s development. 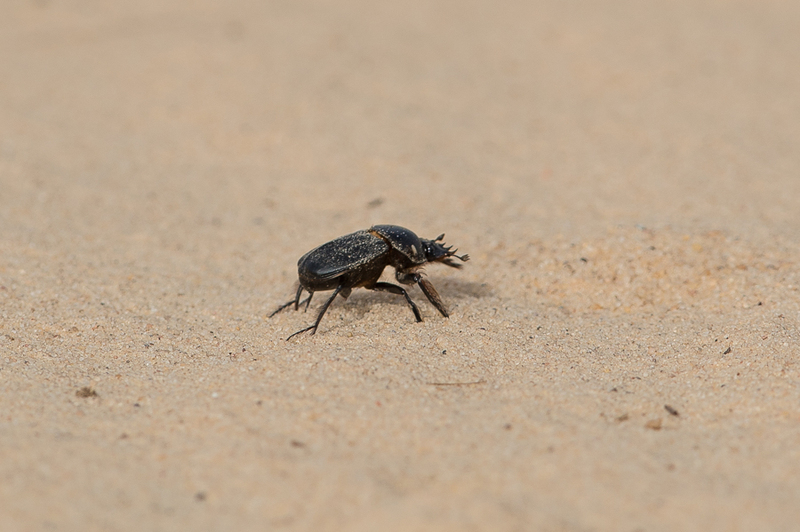 Some of these beetles have become nocturnal to prevent birds of prey and shrikes eating them. 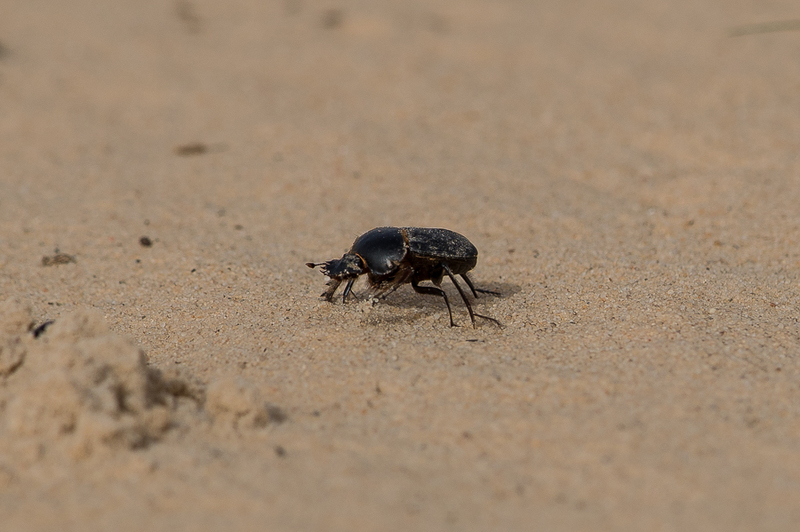 The Sacred Scarab we saw was jumping on Sand Swimmer beetle’s Zophosis complanate and rolling them backwards between its legs to a hole and dropping them down the hole. No Sand Swimmer that went down the ole came back up again. 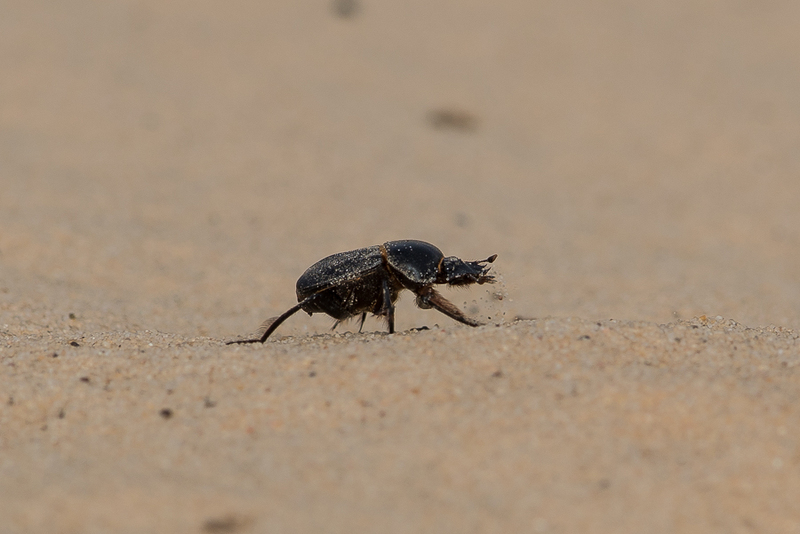 Dung beetles are usually round with short wing covers (elytra) that expose the end of the abdomen. They vary in size from 5 to 30 mm and are usually dark in colour, although some have a metallic lustre. In many species, there is a long, curved horn on the top of the male’s head. Dung beetles can eat more than their own weight in 24 hours and are considered helpful to humans because they speed up the process of converting manure to substances usable by other organisms.